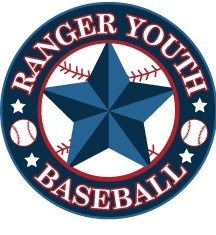 Ranger Youth Baseball requires all regular season players to participate in at least 15 games during regular season play. If weather or other factors will impede your ability to reach 15 games, please consult with your district director for guidance, or to discuss an exception. To be consistent across the state we need to have record of all player’s names, date of birth, and regular season team the played on. Only those players reported on these forms are eligible to participate in post season play. Use the form below to submit your Regular Season Team Rosters before May 1st of the current year. The U I L District 3-A School enrollment chart will be used to determine school enrollment. A league that has selected a 14-Under Tournament Team and a 13-Under Tournament Team may select a Jr. Division Tournament Team, also. It is emphasized that both a 14-Under and 13-Under team must be selected first. A league that has 22 or less players but does not qualify for Jr. Division because of exceeding the UIL 3A classification may apply for Jr. Division status. The District Director after his investigation must recommend an exception for a league that does not meet this criterion for Junior Division and recommend them to the State Chairman for approval by May 1. Leagues must declare by May 1 if they will participate in the “Ranger” Junior Division. Request must be in writing.